Getting those resume basics right is imperative to keeping your resume in the loop when those first seconds of screening take place. 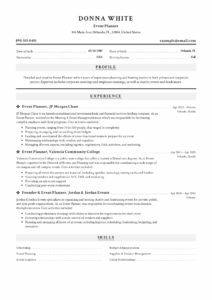 To not miss out on the basic essentials, we created the ultimate Resume Cheat Sheet 2019 for you. Your resume should conform to generally accepted standards pertaining to grammar, sentence construction, content formatting, and layout. Otherwise, the “sounds of silence” will be your only form of feedback received. No infographic, video link, quirky meme or pretty timeline diagram can replace the value of proper solid grammar, professionally worded content and perfect spelling. Let’s navigate through the 15 fundamentals of resume essentials. These are the resume components which can make or break the impression from a recruiter or hiring manager, during the screening process. Texting slang is out. Proper US English sentence construction is in. Think Merriam-Webster and Oxford Style. “Me, Myself and I,” do not resonate well in the corporate realm. Too much first-person narrative creates the impression of entitlement. Zero tolerance for spelling errors. Use the free online tools like Grammarly or Thesaurus to ensure your spelling and tenses are 100% correct. Uniformity is key. Paragraph spacing, headings, footers, font sizes and layout must be consistent throughout the resume document. Make use of the preview tools available in most word processor applications. What you see on your screen could be completely different to the view the recruiter has on their side. To avoid any preview gremlins, send your resume in PDF format. Resume length would depend on your years of experience but think short and concise instead of long and wordy. The average length for a graduate resume should be no more than two pages. An experienced professional’s resume should be limited to a maximum of four pages. If you were blessed (cursed) with an array of family names, include your nickname, but preferably not the “Beast” or “Dumbdrop’’ allocate to you by your college buddies. Please check your spelling (Yes, of your own name too). Nothing is more annoying than a candidate who is untraceable due to mistyped contact information. Your email address should reflect professionalism: candyfloss20@gmail.com and cyberfreak@webmail.com will not add to your application credentials. Remember to also include your professional social media links like Linkedin or About.me as part of your contact details, but ensure these are up to date and without profile pictures of you holding your cat! The rule of thumb here is to include your state and city. No need to provide a detailed google maps pin of your location. If you are willing to relocate, remember to include those areas in order of preference. Include full details of the companies you have worked for and the areas you were based at. Verify the correct spelling and if the company name has changed since you left, add the current and historical name for ease of reference. The biggest downfall of prospective candidates results from discrepancies prominent in overlapping dates of employment, gaps in employment history or insufficient periods of work. Dates should be given in full, from the first day of employment, month and year to the final day of employment, month and year for each of your companies worked for. The general accepted chronological order is from current employment backward to first employment. f you have gaps of unemployment, maternity leave or sabbaticals, include these in your resume for upfront transparency. Focus on the purpose or essence of your duties and tasks. Elaborate on the five critical points of your specific experience with each organization and google similar job descriptions to get a feel for verbiage. Less is more, you are not writing a novel, but resume reminiscent of shorthand and Morse Code do not go far either. No need to be a “Sorry Suzy’’ and provide intimate details about the horrible boss you reported to previously. Keep reasons for leaving brief, to the point and professional. Yes, we are in the 4th Industrial Revolution Era. Your IT savviness and competence will be important, regardless of your job title and industry. Mention the systems you have worked with in-house, but also indicate your general computer literacy regarding apps and programmes you have used in your personal capacity. Whether you are a Baby Boomer or a Millennial, being part of the Connected Generation is crucial to your next job application. In short, just indicate What, Where and When. The name of your qualification, institution, and date of completion is more than sufficient. Include current qualifications you are in the process of finalizing. Regarding courses and certifications, discretion and relevance, please. An art course in India does not really carry weight if you are applying for a financial accountant role at an agriculture company in the Mid-West. The US state laws are changing drastically regarding salary information requests, and in some states, it is now illegal for recruiters and hiring managers to request salary details. To err on the right side of caution, include your expectations and rather omit any current figures in the initial application process. References are your microphones. They will broadcast your skills, competence, personality traits and value-add to recruiters and hiring managers who get into contact with them. Make it count. You should have a discussion with the references, before including them in your resume. No one likes to be called out the blue with a request for information regarding an employee from 10 years back that he or she cannot remember straight away. Make sure to include their most recent contact details, current companies they are working for and their updated job titles. What comes next? ; Jazzing it up! Time to move things up a gear and stand out from the applicant crowd. Using profile enhancement tools like Visualize.me, Biotemplates.com or Brandyourself.com to generate a top-notch bio profile which you can add to your resume and also to your social media platforms. These tools are free to use, but only works when you have created sufficient content in your basic CV draft. Forget the boring old cover letter where you explain you hardworking, adaptable and dynamic you are and get scoring with a 30-second video bio instead. What you do in your spare time provides additional insight into your personality traits, commitment, drive, and determination. Recruiters and hiring managers look at your resume holistically so give your application an extra boost by including activities like sports, cultural, hobbies, event participation and volunteering or community projects you were or are currently involved with. Include leadership roles like a member of the Student Council at University, Captain of the Regional Gymnastics Squad or Lead Violinist of the Youth Orchestra. Please use your discretion though: Class Captain in Junior High does not hit the mark in proving your leadership attributes. A little bragging is acceptable, with the focus on ‘’a little’’. Part of the winning team for State Championship Basketball is fine, runner-up in the school’s spelling bee ten years ago is not. Ask yourself this question? What am I most proud of accomplishing during my working career or college tenure? Then list three examples at most. A picture is worth a thousand words, but not one of you in your skimpy bikini on the beach or dancing on the table at last year’s frat party. Include diagrams, pie charts, infographics and gifs by all means. Just remember you are designing a resume, not a Las Vegas Billboard. Recruiters and Hiring Managers recognize effort, and your resume should represent a certain level of effort to generate a return aka: feedback and interviews. The importance of a well-structured resume is undeniable. Expect a few do-overs; no-one gets it right the first time around. The .docx, .xlsx, .pdf or .png resume file you are submitting could very well be the career passport that lands you the job you have always dreamed of.